I am loving seeing the creative spirit flourish in so many of country towns on my road trip to the Victorian Alpine region. 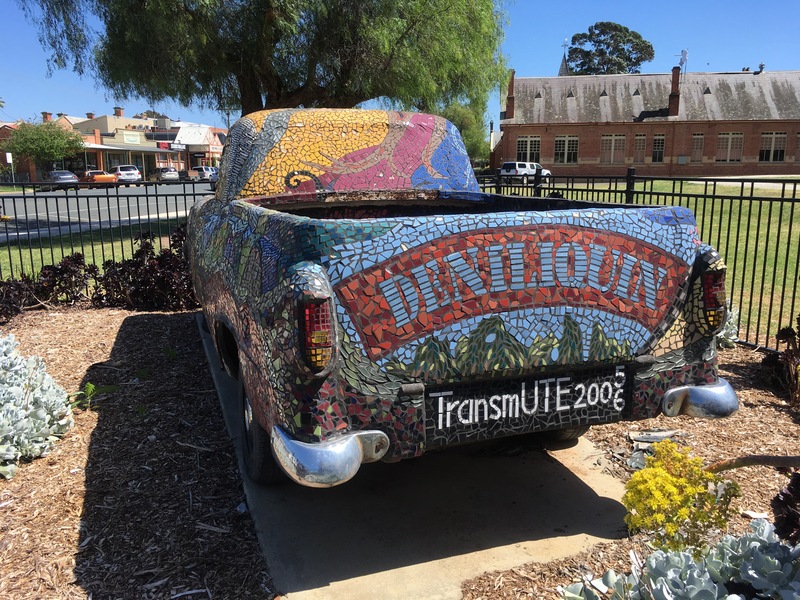 In southern New South Wales, Deniliquin, the self proclaimed ‘Ute Capital of the World’, gives artistic expression to the workhorse of the country. The mosaic work depicts rural culture and landscape, constellations and community spirit in a project in which over 200 people participated. The nearby visitors centre and museum are well worth a visit; great coffee and cakes with a pleasant outdoor eating area too. That’s another bonus of visiting proud country towns in the southern states at this time of year. 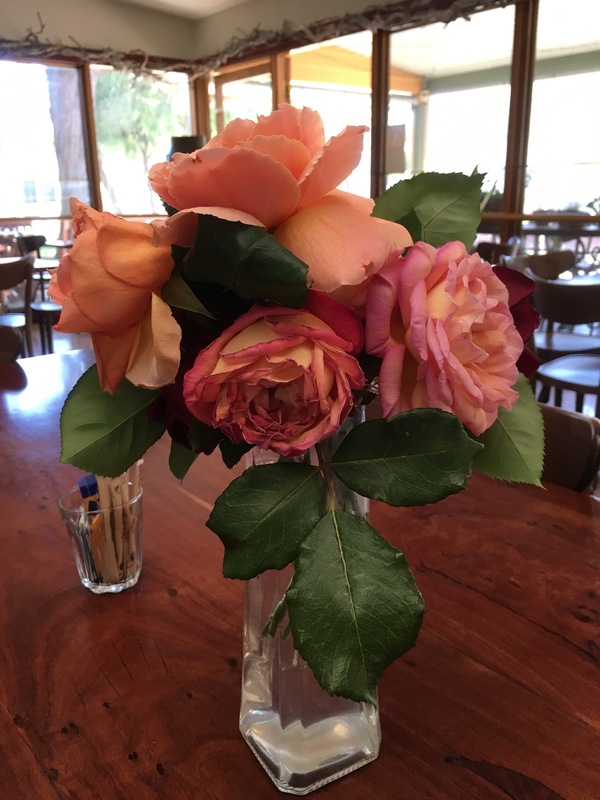 Roses everywhere, in curbside plantings, gracing the gardens of verandaed period weatherboard homes, and filling the Lyons and Rotary parks with their colourful fragrance blooms, a special gift to the travellers who stop to use the public conveniences.